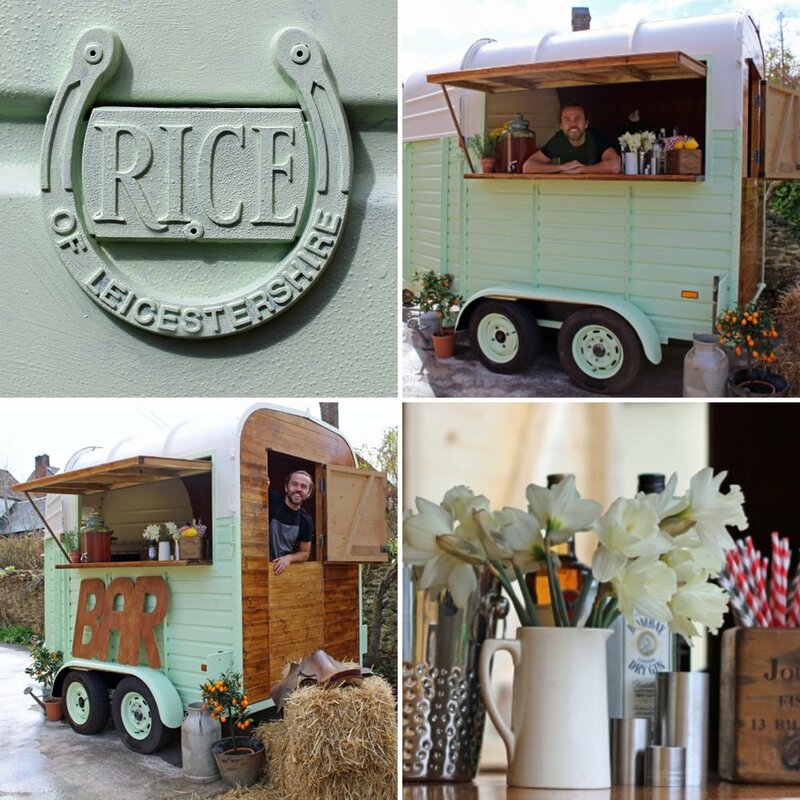 It was all hands on deck in Spring 2016, as we lovingly converted a dilapidated 1960s Rice Beaufort Horse trailer into a beautiful pop-up bar, ready to hit food festivals and private events. We preserved many of the original features of the trailer, including the hoof-trodden floorboards and the iconic Rice badge, adding an environmentally friendly solar panel to its roof. Freshly painted, the Horsebox Bar's trademark aluminum roof and ridged body panels are instantly recognisable, and a new serving hatch has been created. The horse trailer has been fitted with a bespoke bar and carefully crafted work-surfaces. This vintage 1960s Rice Beaufort horse trailer has been given a new lease of life. From the trademark split 'stable-door' to the highly polished bespoke work surfaces, the Horsebox Bar is full of carefully crafted touches. But it isn't all about style - this mobile bar is highly practical, with hot and cold running water, power, a double door bottle fridge and an under-counter freezer. The final step, to add impact and draw the crowds at any event, was to add a simple wooden BAR sign. This is cleverly mounted on the roof of the horse trailer to ensure stability at windy events. It is easily removed when the mobile Horsebox Bar is in transit. 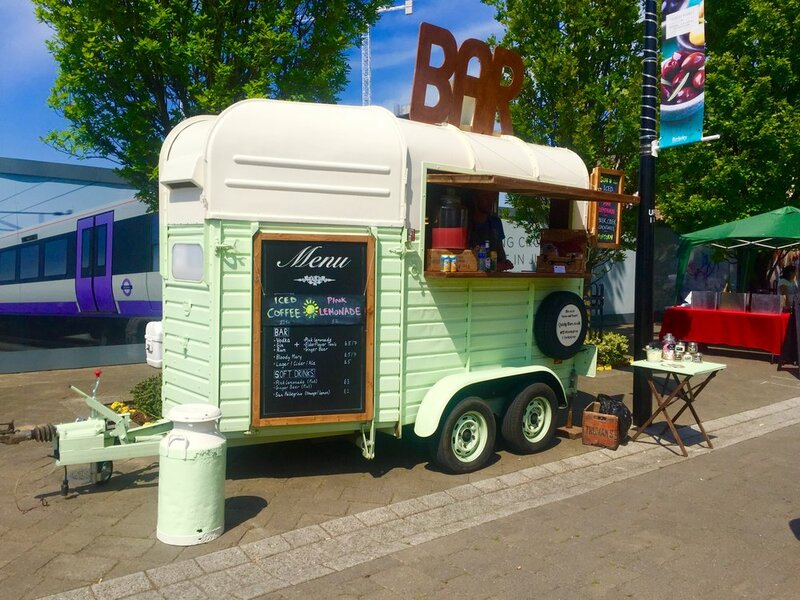 Serving anything from delicious cold-brew coffee to thirst-quenching Elderflower G&Ts, and fresh homemade popcorn topped with dark chocolate and sea salt, this Horsebox Bar is bound to enchant at any event.